Fabians Testimony – “After a building project manager recommended Geoff, I consulted with him as I wanted something different from the ‘norm’. Coming from North America, we wanted a similar kind of lighting solution that we had there: LED lighting, dimmable and adjustable spectrum in terms of ‘mood’ and individually controllable via smart phone. At first Geoff wasn’t sure if such a product existed in Australia, but he did his research and found this solution, which we are very happy with. The best feature of the smart lights are that we can control lights individually and set ‘the mood’. We’ve also enjoyed being able to switch lights on / off when not home. The addition of a camera will be the next step. Thanks Geoff. We needed new lighting in our bedroom, so after some discussion with Geoff we decided to go with installing goSmart lighting. Best decision ever made! The best solution in lighting for us. With various settings we can now define the light and mood in our room, whether it be for getting dressed, reading or watching tv in bed. Being able to control the lights through a remote is awesome and simply convenient. We are completely sold on this way of lighting our home, and are looking forward to converting the rest of the rooms in the house to goSmart lighting. The thought of being able to control our lighting when home or when away via an app is appealing and extremely convenient. Thanks Geoff for introducing us to this great lighting solution for our home. We were looking for a remote lighting setup for our home theatre. It was so annoying to turn the lights on when entering the room then having to return to the doorway to switch the lights off in order to watch a movie. Many of the lighting companies could only offer a part solution for us, and quoted exorbitant prices. We met Geoff at a recent Sydney Homeshow and he showed us his product, which perfectly suited our requirements. 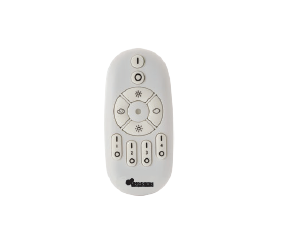 Now we can turn on and off each individual light, or all the lights together using a remote control handheld device. We can also change the lighting temperature as well as dim them. The price was extremely reasonable as well. We had a issue with one light, but Geoff was readily contactable and swapped the unit promptly. No problems since. I would readily recommend goSmart Lighting. Renovated our bath and decided to install goSmart lighting. With various settings we can now define the mood for putting on makeup to a relaxing bath. This is the best solution in lighting by combining all of the standard LED types in a single downlight and the ability to set a mood, schedule when the lights are on and off, and control the lights through an app. Absolutely magic. Have extended the use of the light to the lounge room. The rest of the rooms in the house will be converted soon. Just had the new goSmart Lights put in. Wow!! What a difference. No more dark spaces in the house. Now the luxury of zoning my house so the lighting is perfect for every occasion. Most importantly, although my daughter may disagree, no more leaving the lights on when I leave the house and no more entering the house in darkness thanks to the app. I think she would say she can finally put her make up on in a brilliantly lit bathroom. Thanks Geoff you were right, a major improvement to the house.